The new owners of the Laphroaig distillery present an expression that disappeared in 2009, Laphroaig 2015, for its 200th anniversary. 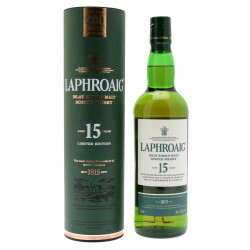 For its 200th anniversary, the new owners of the Laphroaig distillery present an expression that disappeared in 2009, Laphroaig 15 Years Old. 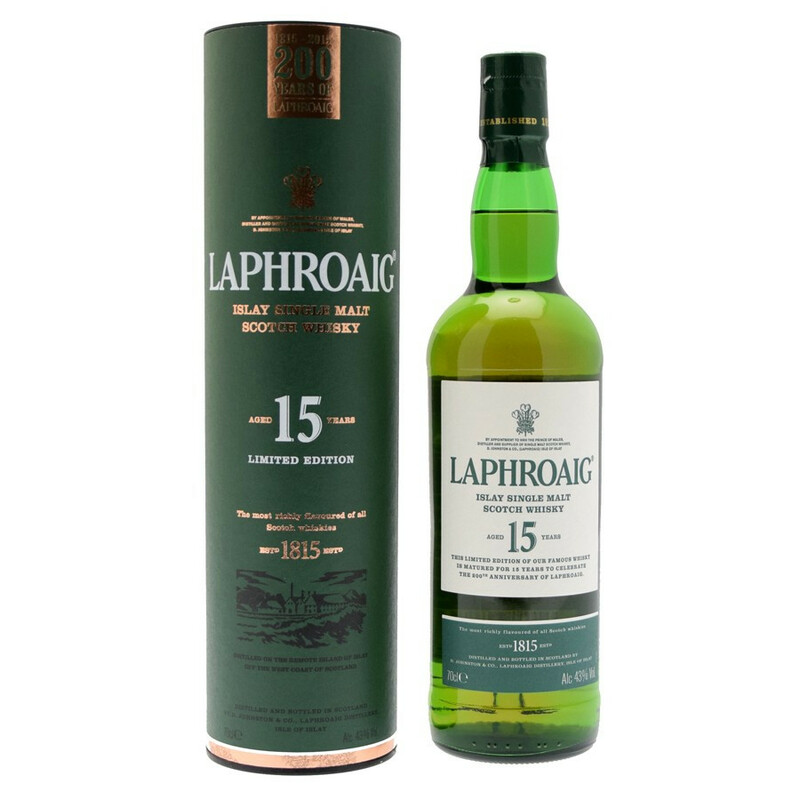 The prevailing peat flavour of Laphroaig is here more subtle, even delicate, and gives its lovely character to this expression without dominating other fragrances. Citrus fruits, red fruits and liquorice and freed from the beginning of the tasting onwards, and open on a lasting finish of smoky and iodine notes. Nose: strangely, the nose is less prevalent than for the 10 Years Old version, which allows the exotic fruitiness to unveil quite rich flavours of banana and papaya. Palate: an impressive roundness and softness. A prevailing liquorice flavour with lime and pear. Finish: long and iodized. The peat embraces ocean seaspray and briny notes.